So you have a new iPad. This could be your first Apple tablet, or you could be upgrading to the new device with high-resolution display, fast graphics, better cameras and the option of 4G networking. Or maybe you’re still on the fence? Since Apple introduced the new device a week and a half ago, we’ve been trying to answer your questions about which device to buy, whether you should upgrade and, once you have it in your hands, what to do from there. Which apps should you get? Which ones will look the best? Which data plan should you pick? Here’s what you need to know. Here’s a scientific explanation of what makes the new so-called Retina display so very bright and unpixelated. Sure, you might feel silly taking video with an iPad. But Kevin Tofel thinks you might feel differently now that the new iPad has better cameras and useful photo-editing software. Here’s his analysis of the new cameras. One-stop shop for the most insightful reviews of the new iPad: here’s Om’s meta review of the reviews. iPad versus iPad: Now that Apple is bringing 4G to the iPad, which carrier should you go with? Kevin Fitchard compares the services and options from both AT&T(s T) and Verizon(s VZW). What if you already have a 3G wireless contract? We walk you through the steps to upgrading your 3G data plan to a 4G data plan. With that 2048 × 1536 display resolution and 264 pixels per inch, the iPad’s most noticeable new feature is the Retina display. Here’s a roundup of the apps available in the iTunes App Store now that have been optimized for the new high-resolution display. 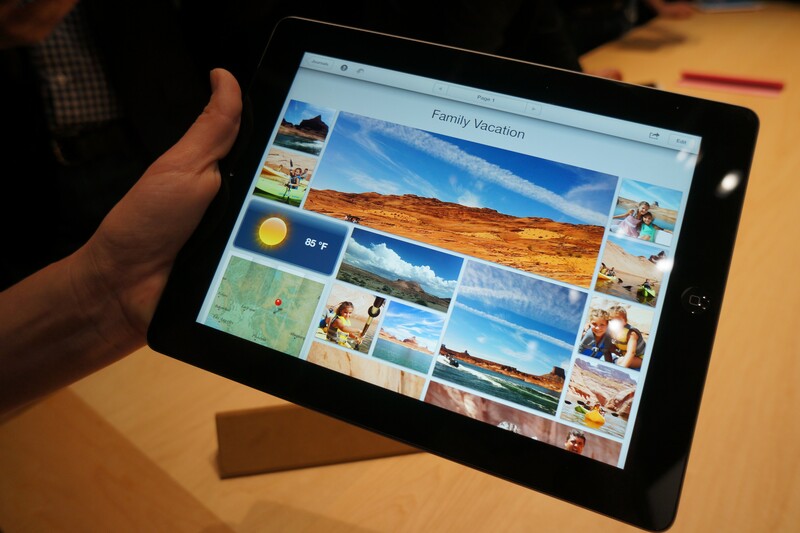 iPhoto, Apple’s photo-editing software for the Mac, is for the first time on the iPad. It’s been reworked for touch-based editing photos and creating Photo Journals pictures, maps, weather and calendar widgets — here are the details. 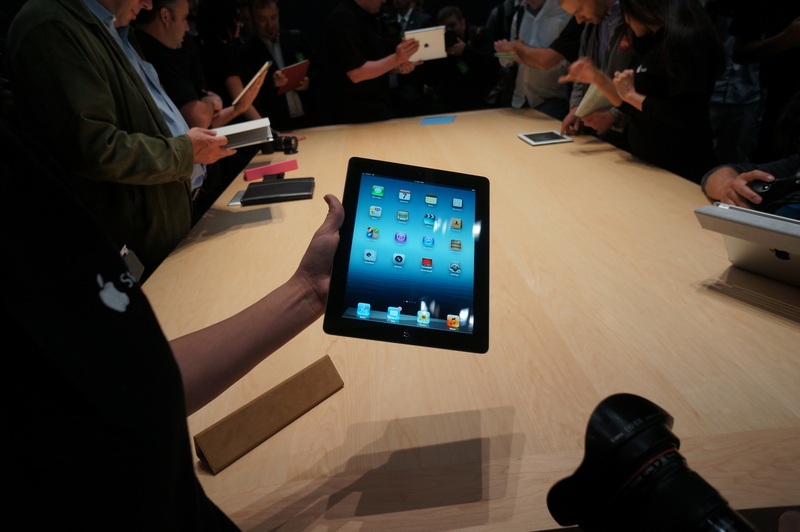 As our own iPads get delivered, we’ll have more coverage over the weekend and into next week, so stay tuned. Do you have to purchase credits to use skype on Ipads? Clearly George doesn’t possess a brain if all he can do is moan about things he doesn’t have or want. Why on earth doesn’t he get on playing with his new tablet or maybe taking one to increase his IQ?